Viking has forged partnerships with today’s best technology companies to bring your office a variety of solutions that can be customized to your specific environment and requirements. We work with you to select the correct machines for your business to maximize cost and efficiency. 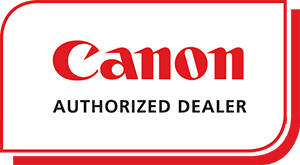 The high-performance products from Canon can easily meet the needs of your office. Combining reliable equipment with industry-specific solutions, Canon can help your organization become more competitive, productive, and cost efficient. Kyocera offers a full portfolio of printers, copiers and multifunction products to enhance the workflow of today’s busy offices. Kyocera focuses on high-volume printing with low total cost of ownership, reduced maintenance and improved environmental performance. Copystar presents an award–winning range of devices that turn otherwise complex document workflows into simple processes. 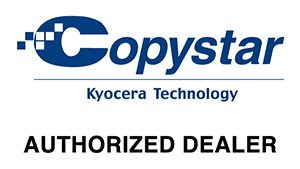 Copystar offers solutions ranging from desktop printers to powerful color and black & white multifunctional products. As an HP Business Partner, Viking Business Solutions carries the full line of Hewlett-Packard printers that are specially designed for the commercial environment. Whether your needs require color or black and white, ink jet or laser, we have the solution for you. There’s a reason why Brother printers have been winning awards for years. With a combination of low acquisition cost and low cost of ownership, Brother’s well-designed high-quality printing solutions offer an excellent customer value.